Hunters and outfitters care about wildlife and take a long-term approach to its management. We also invest thousands of volunteer hours to initiatives that will benefit wildlife or its habitat. Sometimes when you are so busy doing the work you don’t have time to reflect on how much work is being done. GOABC is great at doing the work but sometimes poor on the communication or reporting back to our membership on what has been accomplished. 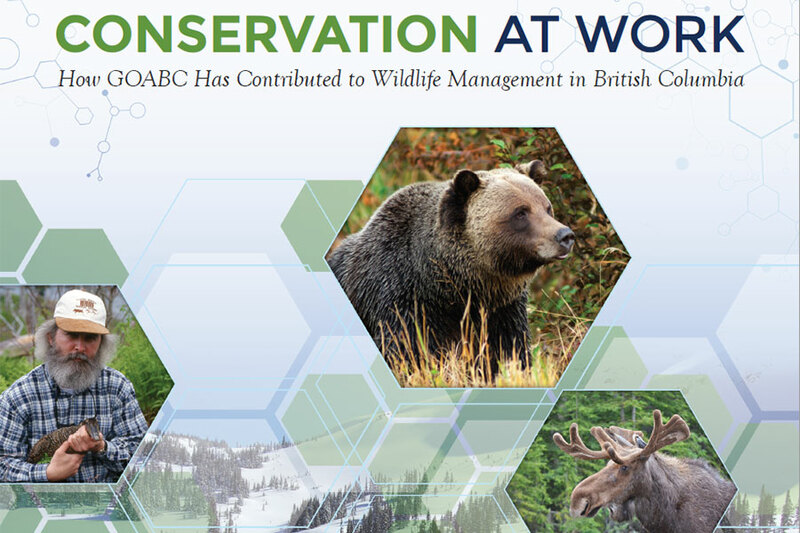 This document is meant to be a reflection of some of the conservation work that has been accomplished by GOABC and our members over the past few years. This is only a small sampling of the stewardship work that GOABC and our member outfitters have accomplished. There are countless regional projects completed by outfitters within their own territories that go unnoticed and are never published. Click on the document to download the full PDF.